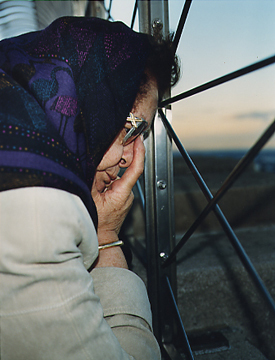 EMPIRE reverses the traditional photographic view taken at the top of New York’s Empire State Building: instead of documenting city vistas from the 86th floor observation platform, the camera is turned onto the viewers themselves. Elevated by height, pedestrians are transformed into voyeurs. 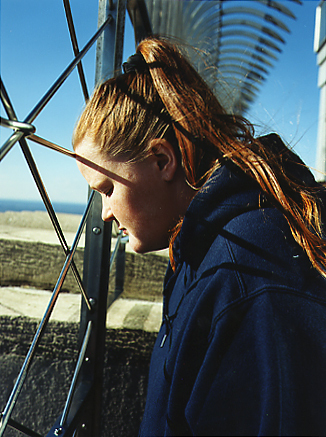 Set against the backdrop of the deck’s metal fence – a protective barrier to keep people from falling or jumping – individuals are captured in moments of quiet, private contemplation. A serial work composed of twenty images, EMPIRE functions as a collective urban portrait, a view of a city that remains unseen except as it is reflected in the faces of its humanity. 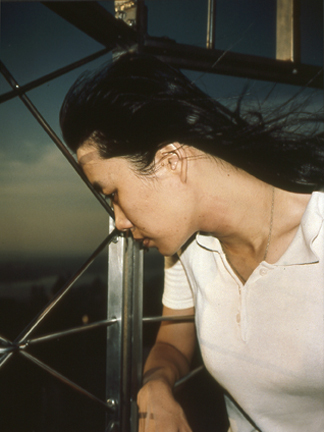 Accompanying the photographs, a Duraclear (transparency) image of sky and fence taken atop the Empire State Building is installed in a window. 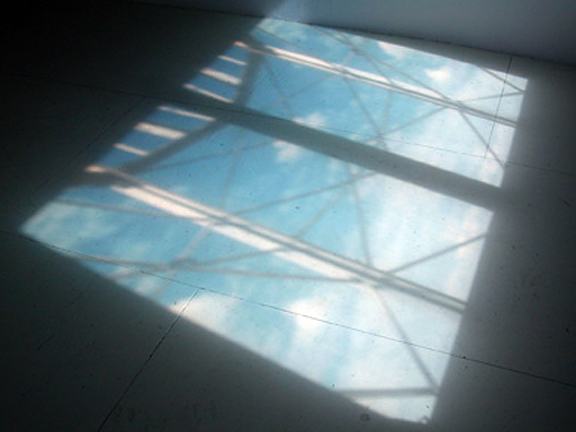 During the day, sunlight projects the image into the gallery, casting it around the walls and the floor. At night, with the gallery lit from inside, this image becomes visible to the passer-by on the street.